Hi, my name is Rachel. As you can tell, I like the Harry Potter Series. It is very creative and entertaining. I figured that if I had to blog about only one thing for the rest of the year, it would be the Harry Potter series because there is so much to talk about within those seven books. The creatures, the people, the enchanted objects, etc. I would think that you like Harry Potter too because you came on my blog. Thank you for choosing an interest in an amazing book series like I did. Now it is time to get into the mind of the amazing author, J.K. Rowling. Voldemort or Tom Riddle is the main antagonist in Harry Potter. He somehow comes back in every movie except for the 3rd one. The strangest part about Voldemort is his nose. He doesn't have one. I also have a question about Voldemort. What made him become evil? What was his motive? I don't know. All I know is that there was a prophecy that a boy born in July that was made equal to Voldemort would conquer him. Voldemort didn't hear the whole thing and tried to kill Harry and his family. He could not kill Harry because of his mother's love. Putting that scar on Harry's head was how Voldemort made Harry equal to him. Voldemort kept coming back to try to kill Harry but never succeeded. Now Voldemort is dead. Everyone knows that the 7 Harry Potter books have become movies as well. Well, I am hear to say that the BOOKS are better than the movies. This is for many reasons. Firstly, when you read the books, it has way more detail and way more emotion and way more descriptive language. You can also know what Harry is thinking in the books but not in the movies. Some people say that the books are too long or have too much information. This is because they are so detailed and so descriptive. I think it is fun to not to be able to read it in 1 or 2 days because then you keep wanting to read which is also good for you. It is also better for your eyes to read books instead of watching movies. For these reasons and many more, I like the Harry Potter books more than the movies. Harry Potter has circular glasses. Glasses help people see. As you know, Harry has had the same glasses throughout his whole life. I can't believe they didn't break before. Yes, Hermione does fix them but before Harry found out he was a wizard how did he not break them. Did they grow too small? Can you make them bigger with magic? I don't know. What I do know is, they are not fashionable. Like really! This is probably the worst thing J.K. Rowling put in the book (not including Sirius's death)! I just don't know why he needs the glasses. He already has the scar on his forehead to make him stand out, he doesn't need the glasses too! Therefore, Harry Potter should not wear the hideous, circular glasses. Hagrid is both giant and human. He is introduced at the beginning of the movie with baby Harry. Then, when Harry realizes that he is different, Hagrid comes in and tells Harry that he is a wizard. Hagrid is very kind to Harry and goes shopping with him and keeps him company. Hagrid works at Hogwarts as the keeper of keys. He also leads the first years at Hogwarts to see the castle for the first time. Hagrid lives in a shack outside Hogwarts and owns a dog named Fangs. His house is close to the forbidden forest. 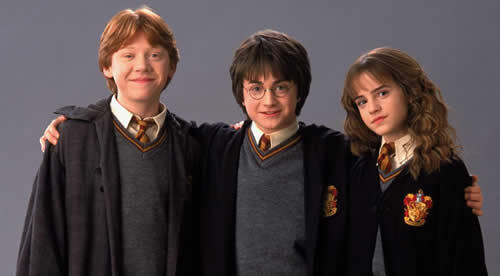 Hagrid loves Harry, Hermione, and Ron. 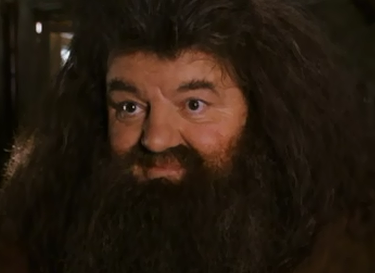 Hagrid helps the kids with so many things throughout the seven years at Hogwarts and is a great friend. Some thing that Hagrid helped with was when Hermione was called a mudblood, Hagrid helped her feel better. He always comforted them. He is a great friend. 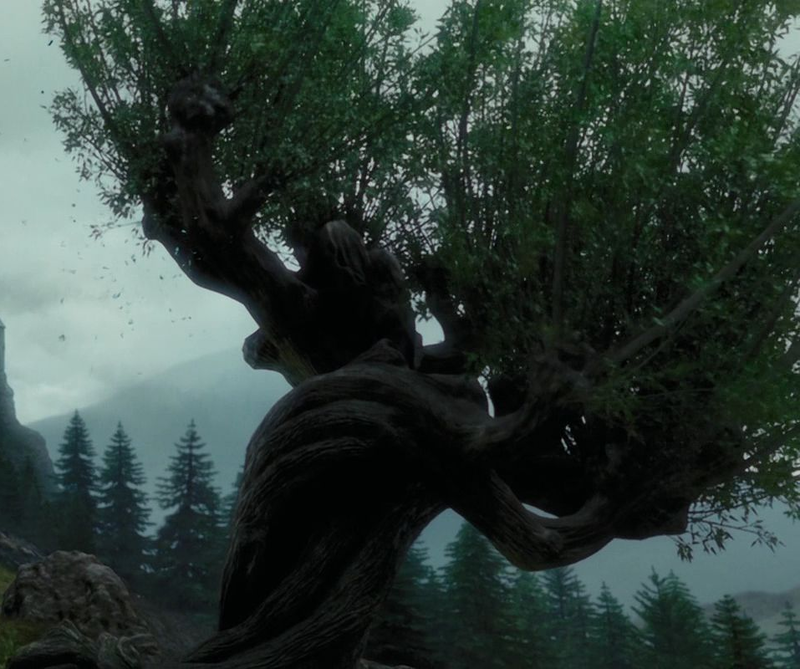 The whomping willow appears in books 2 and 3 the most. In book 2, Harry and Ron have to fly to school in a magic car because the platform closed before they could get on the train. They accidentally landed on the willow. The tree started beating them up and the car. It almost got to them. Luckily, they escaped from the tree. The tree is alive. It is very dangerous to go by it because the branches swing and try to hurt/kill people. In the third book the stump of the whomping willow is the entrance to the shrieking shack which is where Sirius Black is. They have to go through it but the tree is very dangerous so they have to get around it first. The tree attacks the kids and hurts them a little bit. The manage to make it through but it was very hard and they got a wounded from the tree. The tree is very dangerous so watch out if you ever go to Hogwarts and see the whomping willow. 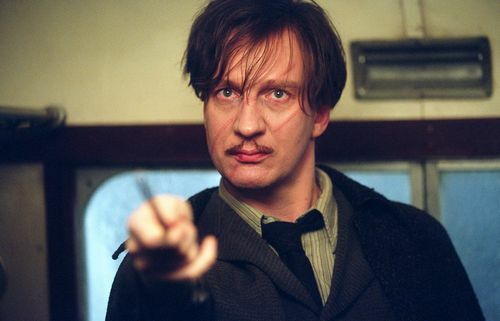 Professor Lupin is a werewolf. He was also a teacher of the defence against the dark arts class. He is in the third movie as a professor. He makes his first appearance on the Hogwarts Express. The demontors had gone into the train and were giving the kids the dementors kiss when Lupin steps in and gets rid of the dementors. They sit beside him on the train. For most of the year, Lupin teaches Harry the patronus charm to get rid of the dementors. He also teaches them about boggarts and how to deal with them. At the end of the book, he is on the same side as Sirius Black (at that point you think Sirius is bad). They try to get rid of Peter Pettigrew because he betrayed the Potters. After that they go outside the shrieking shack and Remus Lupin transforms into a werewolf and frightens everyone. Therefore, he gets fired from Hogwarts. He does return however, as a member of the Order of the Phoenix. I don't want to spoil the rest though. 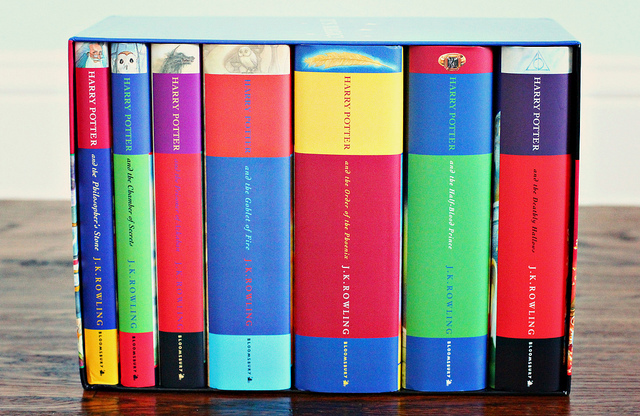 So read, read, read those Harry Potter book. In Harry Potter there are many magical creatures. One is called the Thestral. The thestral doesn't appear until later in the series. This is because hardly anyone can see them. The carriages that take the kids from the train to Hogwarts move by themselves, right? Wrong! The thestrals are the creatures pulling the carriages. Most people think that they move on their own but they don't. People just cannot see the thestrals because you can only see the thestrals is you have witnessed someones death. Harry saw Cedric Diggory die in the fourth book so in the fifth he is able to see them. They look like skeleton horses and have wings. They don't harm anyone but are avoided because they are not seen. Dobby is a house elf. He is the Malfoys' house elf. A house elf is pretty much a slave in the wizard world. They clean up after you, tidy your house and all that sort of stuff. So, the owners do not treat him well. They aren't the prettiest either. Dobby makes his first appearance in the second book at the Dursleys house. He tries to convince Harry to not go to Hogwarts because strange things will happen. To try to prevent Harry to go to school, Dobby takes all of Harry's mail so that Harry thinks his friends don't care about him. Dobby also shuts the gate to platform 9 3/4. They still go to Hogwarts though and there Dobby sets of a rogue bludger to chase Harry. He tries to convince that going to Hogwarts in not a smart thing to do. At the end of the movie/book Harry sets Dobby free by secretly putting a sock in a book and then handing it to Lucius Malfoy. Malfoy gave the book to Dobby and he got the sock and was set free. House elves become free if their master gives them an article of clothing (they usually just wear a pillowcase). Here is a picture of Dobby. There was a troll in the first movie. How did it get inside Hogwarts? Professor Quirrell wanted to get the Philosopher's stone for Voldemort so he sent it inside. Then, while everyone was in panic, he could sneak and try to get the stone. The troll was very big and was headed towards the girls bathroom. Hermione was in the girls bathroom! So, Harry and Ron had to go over to the girls bathroom and go in it to fight the troll. The troll carries around a huge club which he swings to try and kill Hermione. It hits to sink and water sprays from it. Harry grabs onto the trolls club and lands on the trolls head. The troll tries to shake Harry off but it doesn't work. Harry sticks his wand in the trolls nose. The troll grabs Harry and swings his club at him. Ron uses the spell that makes objects fly so that the troll could not hurt Harry and whacked the troll with his own club. If you want to see the scene for yourself click here.